The term critical limb ischaemia (CLI) is used to describe patients with a typical ischaemic pain at rest (TASC II) and occurs as a manifestation of peripheral artery disease. In patients with critical limb ischaemia the number of capillaries is reduced, and vascular fields can be seen in patients with severe cases of the disease. As such, it is very important that patients with critical limb ischaemia are identified rapidly as they are at a high risk of limb loss or other fatal and non-fatal vascular events (TASC II). Laser Doppler is commonly used in the testing of critical limb ischaemia. 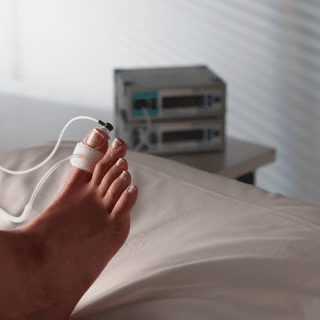 One such test used as an aid for the diagnosis of critical limb ischaemia is the calculation of toe pressure to assess distal perfusion. This can be simply and rapidly achieved using the moorVMS-LDF and moorVMS-PRES, with automatic calculations of toe pressure and printable reports available with the dedicated moorVMS-VASC software. We recommend the moorVMS-VASC PC software for this application as it features an easy to use user interface to streamline measurements and automate reporting. 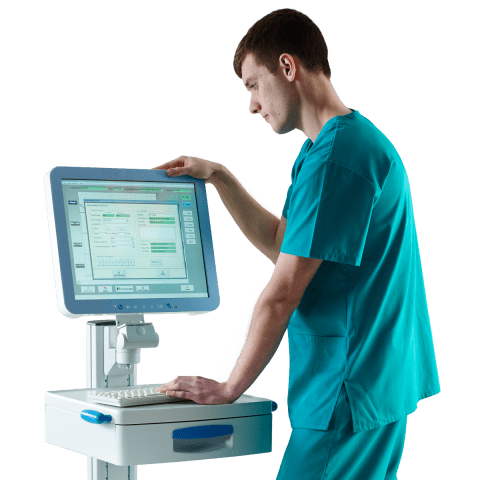 The software automatically controls cuff pressure with moorVMS-PRES and displays the blood flow response measurements from the moorVMS-LDF monitor (Probe choice VP1T or VP1T/7). Toe cuffs are available for use with moorVMS-PRES. Contact us to discuss your specific needs and to request your copy of our free Application Note which includes a detailed experimental method and practical suggestions. We also offer no obligation on-site visits so you can test the equipment in your facility. Inter-Society Consensus for the Management of Peripheral Arterial Disease (TASC II). Summary of the Inter-Society Consensus for the management of PAD (TASC II) guidelines. Toe blood pressure measurements in patients suspected of leg ischaemia: A new laser Doppler device compared with photoplethysmography.